Free Stuff Friday: National Donut Day, free SeaWorld entry and more! HOUSTON (KTRK) -- Today is National Donut Day! Check out these three places in the Houston area where you can get free donut. 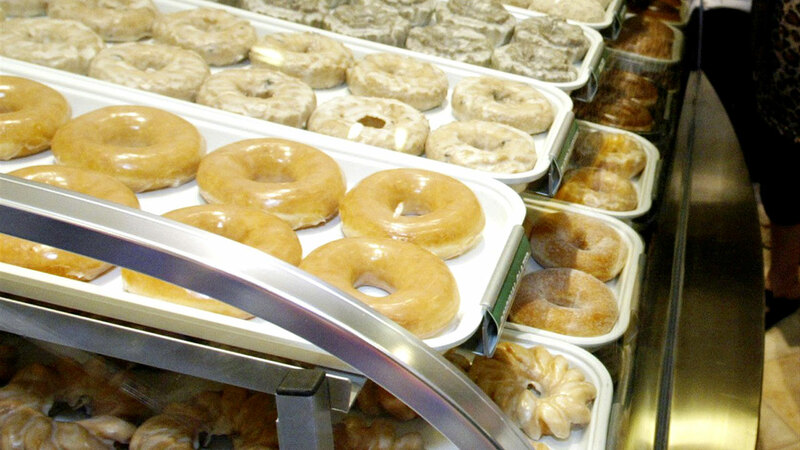 At Krispy Kreme, every customer gets a choice of any free donut, no purchase necessary. Over at Shipley Do-nuts, it's a free donut at a participating location from now until noon. And at Dunkin Donuts, get one free donut with the purchase of any beverage. Need another sweet treat? Get free chocolate once a month from Godiva when you register for their rewards club. And finally work off those sweet treats at a free Pilates class Sunday at Athleta in West University. School is out for summer and to celebrate the fun SeaWorld San Antonio is offering kids ages 3-5 living in Texas a free SeaWorld preschool fun card and for teachers, it's a free teacher fun card! Receive unlimited admission to Seaworld San Antonio through the end of the year. Two for Tuesdays is back at the Downtown Aquarium! Buy one adventure pass and get one free! You'll need show the mobile coupon at the ticket counter. And save the date for next Tuesday June 7th, the Houston Symphony presents Star Wars & More: A Tribute to John Williams at the Cynthia Woods Mitchell Pavilion in The Woodlands. Tickets are $20 for the orchestra but it's free on the mezzanine and lawn. Plus free parking in the area. The show starts at 8pm.